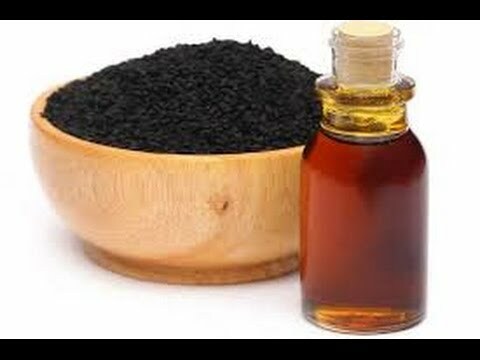 How To Use Kalonji Oil For Preventing Hair Loss? Squeeze out the juice of a fresh lime or lemon and massage your scalp with it. Leave it for next 15-20 minutes. Wash off with a mild (preferably natural or herbal) shampoo. Let your hair air-dry completely. Now, apply kalonji oil onto your scalp as well as dried hair thoroughly. Put light pressure with your fingertips on your scalp and rub gently so that the oil gets absorbed by the hair roots. Keep it overnight and rinse with a gentle shampoo in the next morning. 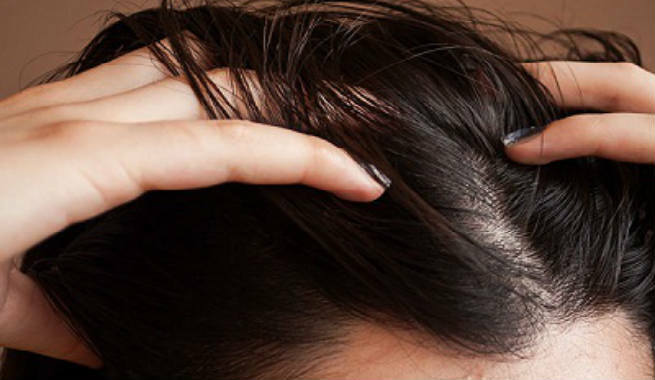 This is an excellent way to prevent premature hair fall. All you need to do is to practice it for 4-5 consecutive weeks in order to experience the best results. Take a handful of kalonji seeds, crush them into powder and put it in a wide pan. Heat it up for a couple of minutes so that it turns golden brown in color. Pour 1 tablespoon of olive oil and 2 tablespoons of kalonji oil into it and heat up the mixture for another 2 minutes. Now, turn off the heat and cool the whole thing down. Add 1 tablespoon of apple cider vinegar to it and blend well to form a smooth paste. Massage your scalp with this paste for 3-4 minutes and then allow it to sit for next 1-2 hours. Finally, rinse with fresh cold water. This is very much effective in averting frequent hair fall. Make sure that you treat your scalp with this mixture at least for 2 consecutive weeks. If you are suffering from partial baldness, kalonji oil can be of your great help. Take 2 tablespoons of kalonji oil 6 tablespoons of apple cider vinegar and 2 tablespoons of henna powder. Mix all the ingredients together to form a uniform paste of thinner consistency. Rub it onto the bald areas of your scalp generously but not too vigorously. Wait for 1 hour so that the oil mixture sits well. Then, wash off with fresh cold water. 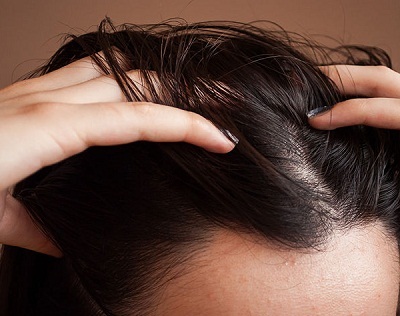 Doing this for 5-6 days a month will help you get back your lost hair gradually. Apart from aiding in hair regrowth, this treatment is also beneficial for repairing damaged locks. 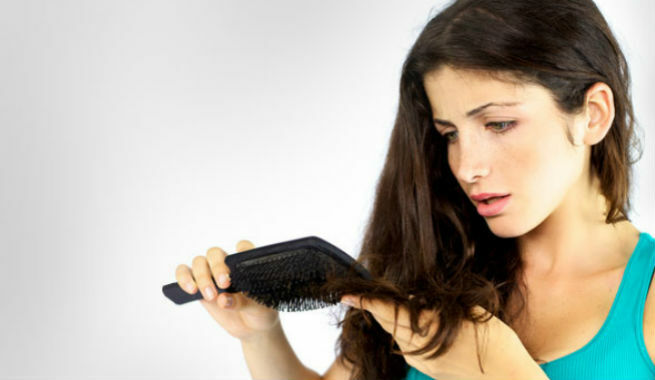 Dandruff is known to be one of the biggest causes of excessive hair fall. This kalonji oil treatment is a surefire for getting rid of such conditions. Take 3 tablespoons of henna powder and 3 tablespoons of organic olive oil in a small mixing bowl. Add 1 tablespoon of kalonji oil into it and combine everything. Now, heat up the mixture for 4-5 minutes and then cool it down. Apply it all over your scalp, wait for 1-2 hours and then, rinse away with plain water. If you are experiencing severe hair fall and are worried about thinning edges, go for this amazing kalonji oil remedy. Take a dark glass bottle and pour 1 tablespoon of kalonji oil into it. Add 2 tablespoons of organic olive oil to this bottle and also pour a drop of peppermint oil to it. Close the lid of the bottle tightly and give it a good shake to mix everything well. Store the bottle inside the refrigerator and use the oil mixture every day. You just need to massage a few drops of this mixture onto your scalp, leave it for 15-20 minutes and then, wash off with a mild shampoo and conditioner. Being an anti-inflammatory agent, it soothes scalp and eliminates various issues like itchiness, flakiness, dandruff, sensitivity, etc. The anti-fungal and antibacterial properties of the oil make it a great remedy for lice. Effectively restore hair lost due to certain infections or side effects of medications or chemotherapy. Being loaded with hair nourishing elements, it can repair damaged hair and make it super healthy. High fatty acid content of the oil makes hair soft and moisturized. 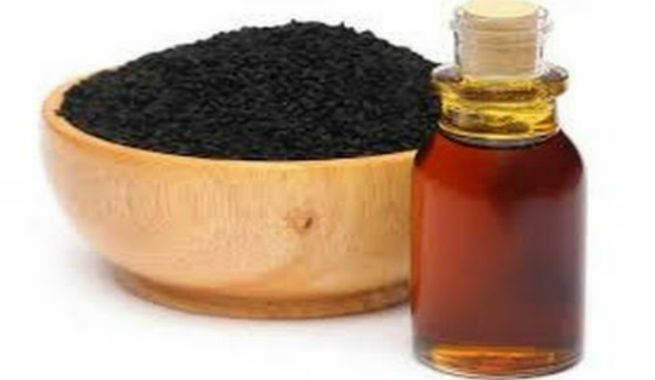 However, kalonji oil is not able to cure hereditary baldness or any other type of genetic hair loss.